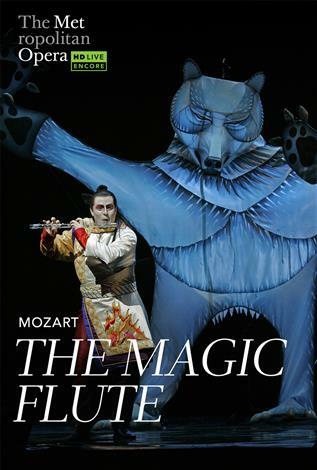 Celebrated director Julie Taymor, who brought The Lion King to Broadway, casts her spell on Mozart’s The Magic Flute. Dancing bears, flying birds, even a giant serpent – all are brought vividly to life through Taymor’s ingenious use of puppetry. This two hour version is sung in English and features an attractive young cast.